Your Headquarters for Prepper, Survivalist and Self-Reliance Shows and Events. Included are elements of prepping, bushcraft, survival, homesteading, sustainable agriculture, gardening, camping, hiking, self-reliance, primitive skills, self-defense, financial preparedness, insurances for better coverage, (to name a few). INFO: Click here for show website. WE ARE STILL ACCEPTING EXHIBITORS! 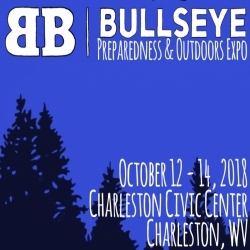 Included are elements of prepping, bushcraft, survival, homesteading, sustainable agriculture, gardening, camping, hiking, self-reliance, primitive skills, self-defense, financial preparedness, insurances for better coverage, and more! Vendors & exhibitors will have the opportunity to engage in commerce, launch new products, gather feedback, and network with industry peers. build/enhance customer databases and lead generation. Develop Social media content, etc. Showcase your products and services! Promoting the presentation/class offering and promoting select exhibitors and their products in advertisements rather than the generic reference and vague descriptions often used. Ad copy and Radio/TV production have to be submitted to the outlets by end of August - late exhibitors will miss any opportunity to be selected for feature in advertisements.